Your VCI questions from Michigan Area UMC on Vimeo. 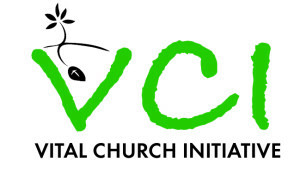 The Vital Church Initiative (VCI) is a “process” of renewal for gro wing healthy, vital, fruitful, missional congregations in the Michigan Area of The UMC. Today many of our congregations find themselves on a plateau or in decline. This is a new process to engage our congregations for transformation. The Vital Church Initiative offers our pastors and congregations a better future. The process offers hope to leaders of congregations that have lost their outward focus by preparing them for systemic change that will enable them to once again answer God’s call to reach out to new people with the Good News. The primary goals are improved Lay and Clergy leadership including the development of a comprehensive, coordinated and collaborative model, with a unique affinity to the particularities of the churches in the Michigan Area. A trained coach will walk along with the congregation as they work to fulfill the prescriptions from the weekend intervention. We know that systemic change occurs as a result of hard work, but the gain far outweighs the pain. Once change has occurred, a whole new world of opportunity opens up and once again a congregation and pastor can enjoy the fruits and love of being an outwardly focused church bringing new people to Christ. Our goal is to equip leaders to lead a congregation back into God’s mission field. Larger Church Path is for congregations with an average worship attendance greater than 80. Smaller Church Path is for congregations with an average worship attendance of 80 or fewer.